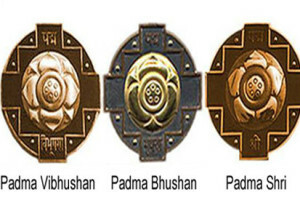 The Padma awards in 2016 saw selection and conformation given to few notable personalities from the medical fraternity in India, for their impeccable contribution and excellence in the field of healthcare services. This year saw Dr Vishwanathan Shanta selected for her contribution in the field of oncology. The Cancer specialist has been applauded with India’s second highest civilian award Padma Vibhushan. Dr Shanta is a prominent cancer specialist and the chairperson of the Adyar Cancer Institute in Chennai. Her career spans across many decades of experience starting from 1950’s, and majorly includes her professional interest in organizing care for cancer patients and research in the prevention and cure of the disease. Her commitment and dedication for the cause has won her many recognitions and awards. The list includes the Magsaysay Award, Padma Shri, Padma Bhushan and now the Padma Vibhushan, the second highest civilian award by Government of India. The second similar pride moment for the medical community comes with gastroenterologist Dr D Nageshwar Reddy selected for Padma Bhushan, the country’s third highest civilian award. He is the Chairman of the biggest gastroenterology hospital in the world i.e. Asian Institute of Gastroenterology located at Hyderabad. This is his second recognition for his contribution in the field after having received the Padma Shri award in 2002.